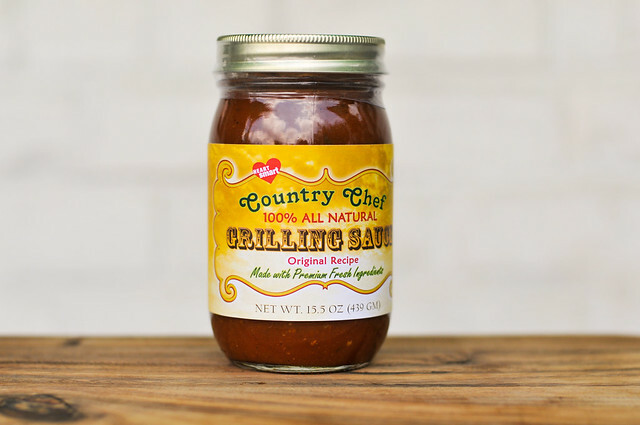 A sauce that makes good on its "natural" claim, Country Chef Grilling Sauce Original has a very homemade feel with a thick, chunky texture. Its subtle flavors let you taste all of the fresh ingredients that make up this sauce. Chef Mike Espey was kind enough to send me a sampling of his entire new line of barbecue sauces. With 26 years of experience as a chef, Mike started Country Chef—a suite of six sauces that puts an emphasis on all natural ingredients at a reasonable price. He's in the process of developing a website, but if you'd like to purchase a sauce, that can be arranged by special order through his Facebook page. As I like to do, I tried the original recipe first as a logical starting point to this extensive array of sauce. On first smell, the sauce seems to live up to its branding with a natural, light aroma. There's a strong tomato element that's not sweet, with a vinegar that strikes a balance with the tomato. With neither of those main notes overpowering, you get a bit of a garden smell, with garlic, onion, celery, and green pepper being responsible for that. Country Chef Original weighs in between medium and thick, with a sauce that falls in chunks, but also leaves a hefty amount remaining clung to the spoon. Through its opaque orangey hue, you can easily see all the spices and vegetables that make up this chunky sauce, further solidifying the natural claim. With this sauce, what you smell is what you get. Following an almost identical pattern, the flavor started with a natural tomato that was more tart than sweet. This slowly dissolved into a mild vinegar tang. All the while the you pick up the garlic, celery, onion, and green pepper, giving the sauce its freshness. 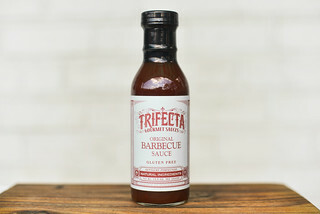 Unlike many barbecue sauces, this one is much more subtle, with nothing—except maybe a bit of a vinegar aftertaste—being heavy handed. 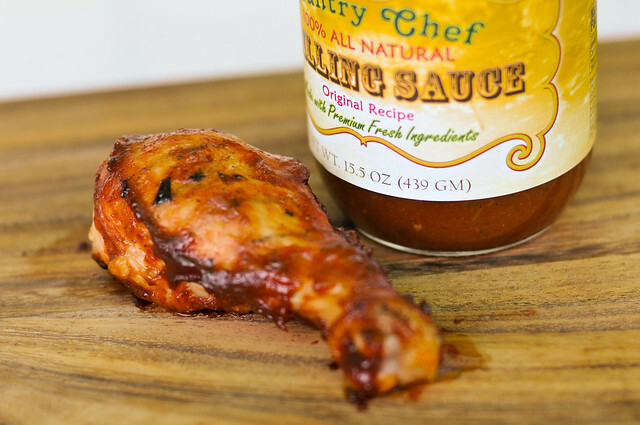 Like many thicker sauces, this one baked in while retaining some thicker chunks of sauce clinging to the exterior of the chicken. 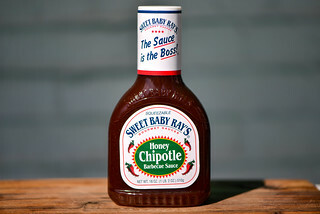 Unfortunately, the subtle flavors that defined this sauce out of the jar became further diluted after being cooked. I mostly got a tomato sauce texture and flavor, but lost the other elements that made me enjoy the sauce a lot previously. 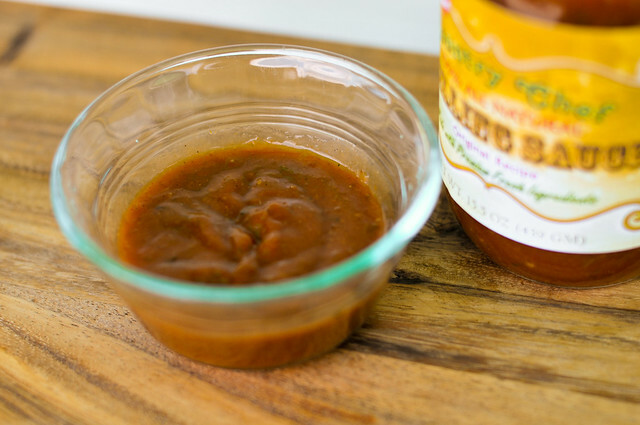 Staying true to the "natural" claim, this sauce has a very fresh, homemade feel. While the flavors may be subtle, they are well balanced and combine into to a pleasing overall taste. Since this light sauce lost a lot of what made it good after being cooked, I'd recommend it mostly be used as a dip. Lighter meats would pair best, as the delicate flavors would probably be lost on anything heavier than pork. I consider this a strong start to the line of Country Chef sauces and am excited to try the rest, as I'm hypothesizing that the ones with stronger base flavors will fare better when grilled and make up for the little this sauce lacked. Josh, Thanks for the review. It seems you got a good grasp of the sauce. 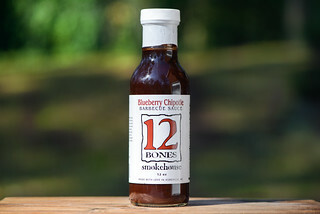 It is a lighter then usual sauce so that the flavor of your delicate meats can come through. If you get a chance try it on grilled vegetables. Because of its light flavored nature, this does make it a great dipping sauce. I look forward to your reviews on the other sauces and hope you enjoy them as well. Thank you very much, Mike Espey have a grilling great day!